Saint John Paul II wrote an apolstolic exohortation in 1989 on the life and virtues of Saint Joseph and his place in the life of the Church. It may aid in our meditation for today’s Solemnity, that of Saint Joseph. 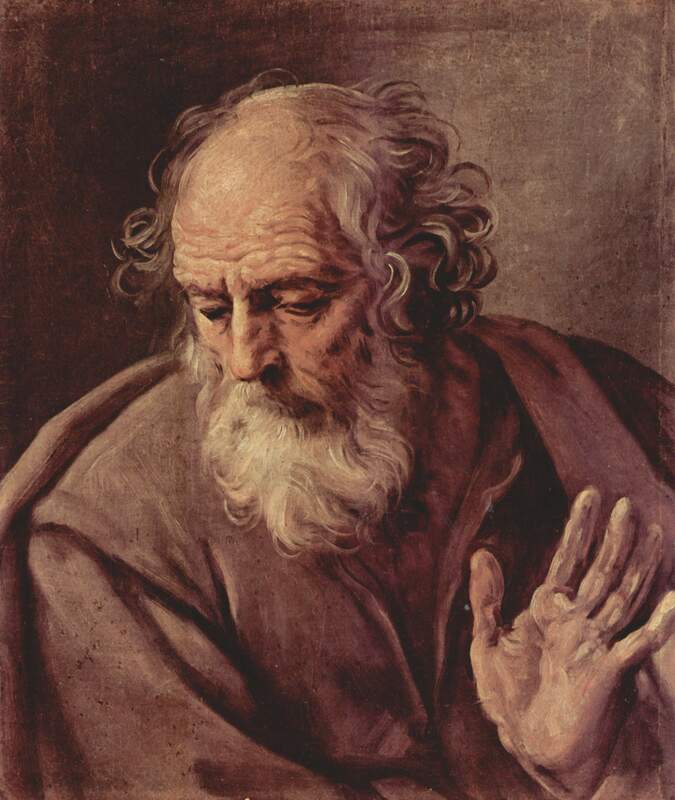 Below are stories and writings about Saint Joseph from the Gospel, the Life of Saint Teresa, our constitutions and statutes, and an homily by the Pope. These readings may aid in our meditation. 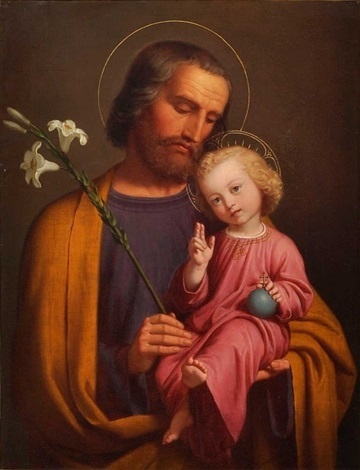 I took for my advocate and lord the glorious St. Joseph and earnestly recommended myself to him. I saw clearly that as in this need so in other greater ones concerning honor and loss of soul this father and lord of mine came to my rescue in better ways than I knew how to ask for. I don’t recall up to this day ever having petitioned him for anything that he failed to grant. It is an amazing thing the great many favors God has granted me through the mediation of this blessed saint, the dangers I was freed from both of body and soul. 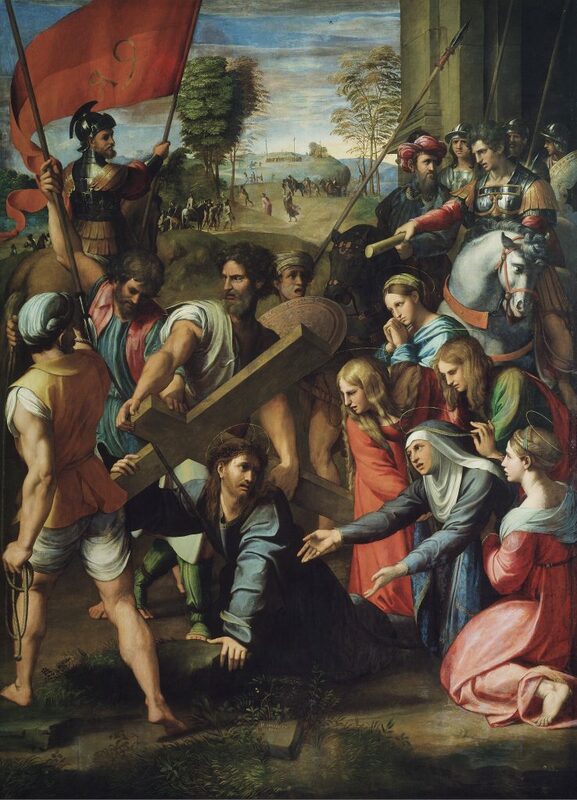 For with other saints it seems the Lord has given them grace to be of help in one need, whereas with this glorious saint I have experience that he helps in all our needs and that the Lord wants to us understand that just as He was subject to St. Joseph on earth –for since bearing the title of father, being the Lord’s tutor, Joseph could give the Child command –so in heaven God does whatever he commands. This had been observed by other persons, also through experience, whom I have told to recommend themselves to him. And so there are many who in experiencing this truth renew their devotion to him. 7. I endeavored to celebrate his feast with all the solemnity possible. But, in my desire to do so very carefully and well, I was filled more with vanity than with spirituality, though my intention was good. This was a fault I had, that if the Lord gave me the grace to do something good, what I did was filled with imperfections and many failures. In wrongdoing, curiosity, and vanity, I was especially skilled and diligent. May the Lord pardon me. 8. Because of my impressive experience of the goods this glorious saint obtains from God, I had the desire to persuade all to be devoted to him. I have not known anyone truly devoted to him and rendering him special services who has not advanced more in virtue. For in a powerful way he benefits souls who recommend themselves to him. It seems to me that for some years now I have asked him for something on his feast day, and my petition is always granted. If the request is somewhat out of line, he rectifies it for my greater good. If I were a person who had authority for writing I would willingly and in a very detailed way enlarge upon what I am saying about the favors his glorious saint did for me and for others. But so as to do no more than what they gave me the command to do, I will be briefer in many matters than I desire, more extensive in others than necessary –in sum, like one who has little discretion in anything that is good. I only ask for the love of God anyone who do not believe me to try, and he will see through experience the great good that comes from recommending oneself to this glorious patriarch and being devoted to him. Especially persons of prayer should always be attached to him. For I don’t know how one can think about the Queen of Angels and about when she went through so much with the Infant Jesus without giving thanks to St. Joseph for the good assistance he then provided them both with. Anyone who cannot find a master to teach him prayer should take this glorious saint for his master, and he will not go astray. Please God I may not have erred in being so bold as to speak about him, for although publicly I am devoted to him, I have always been lacking in serving and imitating him. For he being who he is brought it about that I could rise and walk and not be crippled; and I being who I am used this favor badly. 31 – a) In the Teresian Carmel love of Mary, Mother and Queen, is united with love of her spouse Saint Joseph. The Father also gave him, “a just man,” guardianship of his Son Jesus Christ in the mystery of the Incarnation. In communion with the Church and the Order, who venerate him as their “provident Protector,” members of the Secular Order find in Saint Joseph an incomparable protector to whom they can entrust the hopes, the struggles and the work of every day. 1. 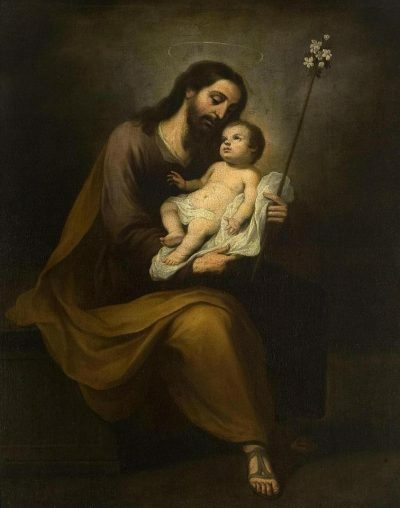 The same aura of silence that envelops everything about St. Joseph, [himself a lay person and model for Carmelite Seculars] also shrouds his work as a carpenter in the house of Nazareth. It is a silence that reveals in a special way the inner portrait of the man. The Gospels speak exclusively of what he “did.” Still, they allow us to discover in his “actions” — shrouded in silence as they are — an aura of deep contemplation. He was in daily contact with the mystery “hidden from ages past,” and which “dwelt” under his roof. 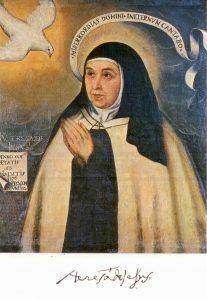 This explains, for example, why St. Teresa of Jesus, the great reformer of the Carmelites, promoted the renewal of veneration to St. Joseph in the Western Church [cf. Pope John-Paul II, Apostolic Exhortation, Redemptoris Custos, (On the Person and Mission of Saint Joseph In the Life of Christ and of the Church), Aug. 15, 1989, #25]. 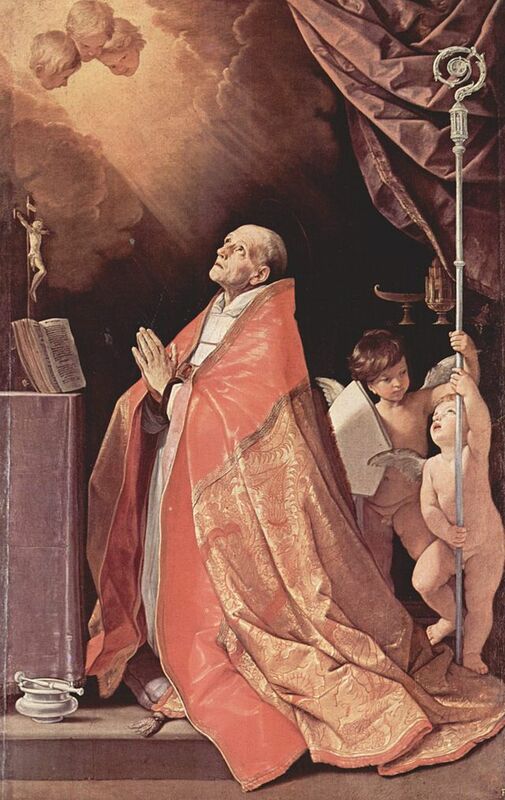 You may find the Carmelite Proper Offices for the Optional Memorial of Saint Andrew Corsini, Bishop, courtesy of the Discalced Carmelites of Canada. 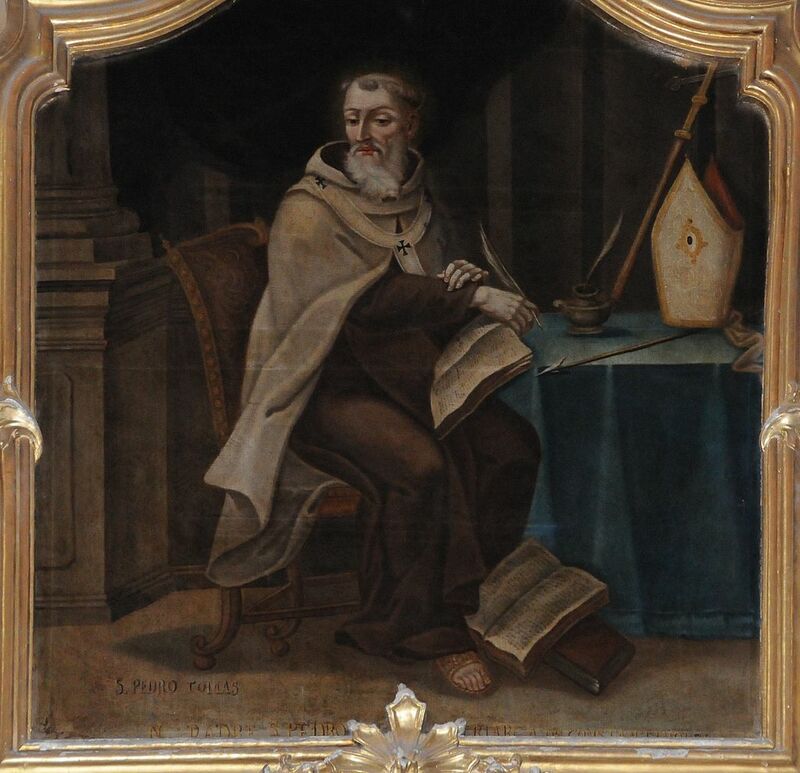 You may find the Carmelite Proper Offices for the Optional Memorial of Saint Peter Thomas, Bishop courtesy of the Discalced Carmelites of Canada.